Looking for ways to improve your training is a necessary part of progressively overloading your body with various challenges and stimuli. The techniques usually involve primary components, such as varying the volume, load, complexity, time under tension, or exercise selection. Often, by taking it back to basics, we can focus on simple concepts that we use in every training session to produce great improvements in force, power, and overall performance. 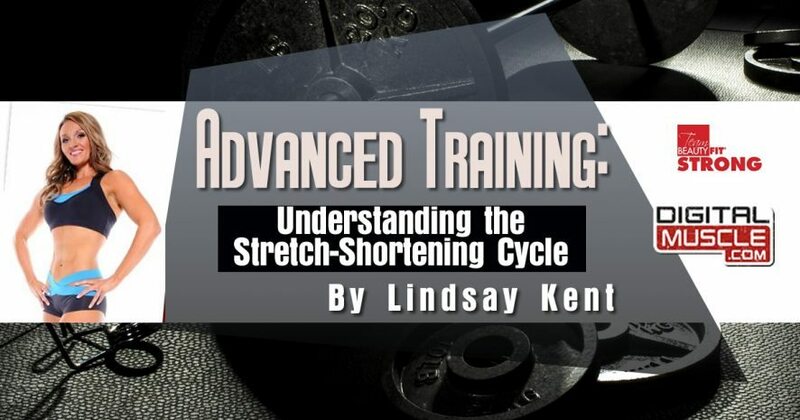 Enter the stretch-shortening cycle, or SSC, which creates elastic energy in the muscle. When a muscle is stretched, its natural tendency is to rebound back to its resting state. That’s the elastic energy. A common example is a rubber band, which acts like a spring when stretched, instantly recoiling with force back to its original state. The SSC involves all three phases of an exercise repetition. Phase 1 is the eccentric contraction, or the stretching of the muscle. Phase 2 is the pause between phase 1 and phase 3, and Phase 3 is the concentric contraction, or shortening of the muscle. The loading phase of the SSC occurs during phase 1, and the stored energy must be used immediately, or it will be lost as heat. In fact, it is used in phase 3, which is the actual muscle contraction. The SSC allows for significantly more force production than would occur during a normal contraction. The elastic component cannot be specifically trained, but you can work on your timing during the execution of movements. In order to improve maximum strength, size, and power, you must activate three specific components: the nervous system, the storage and release of muscular elastic energy, and a muscle contraction. Therefore, in order to “turn on” and use the stored elastic energy instantly, you must activate the nervous system and the contraction with the muscle stretch. One way to accomplish that is with plyometric training, which is fantastic for improving your rebounding, or contractual speed. The faster your muscles contract, the greater the overload that is placed on them, increasing muscle-fiber activation, performance and power. When building your plyometric sessions, you want to include both low and high-impact movements. Low-impact plyometric exercises focus on increasing power in speed-dominant sports, where the resistance to overcome is low. Examples include medicine ball throws, skips, box jumps, and jumping rope. High-impact plyometrics are the opposite; they require increases in power where the resistance to overcome is high. High-impact plyo-exercises include depth jumps, drop jumps, and jumps between obstacles. The specificity principle, which dictates that your body will adapt very specifically to the methods of training you use, should be your guide in determining which plyometric movements to use. For example, executing movements rapidly is beneficial for powerlifters but not for bodybuilders. Rather, bodybuilders need to “explode” during their lifts, which makes use of the SSC and, in turn, the stored elastic energy. One or two plyometric workouts a week can make a difference in anyone’s size, strength, speed and overall athletic performance. If possible, set aside time for a separate plyometric workout, apart from your regular training. Choose three to five exercises, and perform them circuit-style to give your body a metabolic challenge as well. Visit the DigitalMuscle.com Training Blog for more great info! Check out the Beauty Blog by Beauty Fit for more great articles from some of the most accomplished women in fitness!